ThemeParkMama: Fountain Jet Giveaway! Ends 2/28! Making carbonated soda water and soft drinks just became simple! Don't settle for sodas that loose their flavor right away or come in plastic that you just toss once you've drank it all. Turn tap water into sparkling water in under 30 seconds, with no clean-up. Enjoy the freshness and convenience of homemade soda and protect the environment at the same time. With Fizz to your taste and add the flavor of your choice to make your favorite drink. Simple to clean and reuse. With a variety of colors and silhouettes, you'll be sure to find a soda maker to match with any decor. 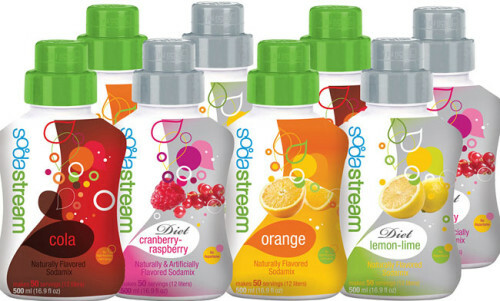 The Soda Stream is a great way to enjoy your favorite drink for a fraction of the price and its comes out tasting great. Not only will you fall in love with the ease and convenience of this product but you will definitely enjoy the huge variety of flavors from their Natural line to Diet line, everyone in your family will find a favorite! To find out more about this fantastic product, head over to Conservamom's Page for her review! Giveaway open to US residents only. Ends on 2/28 at 11:59pm.